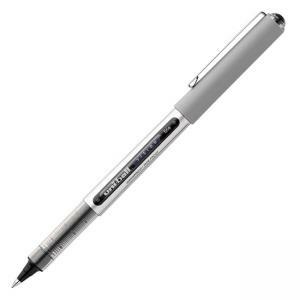 Vision Rollerball Pen features an innovative system that regulates a steady flow of waterproof ink to the point for consistent smoothness and color intensity. Uni Super Ink helps prevent check and document fraud. Solid, stainless steel point is quiet, responsive and won't bend under pressure. Uncapped pen offers a visible ink supply. Ink is acid-free, fade-resistant and water-resistant. Nonrefillable.